How's everyone's week so far? Mine is slow, slow is good in my case. It means I have time to buy nail polish surf the internet, go out with the hubby, catch on tv series and do nothing... Don't you just love having time to do nothing? 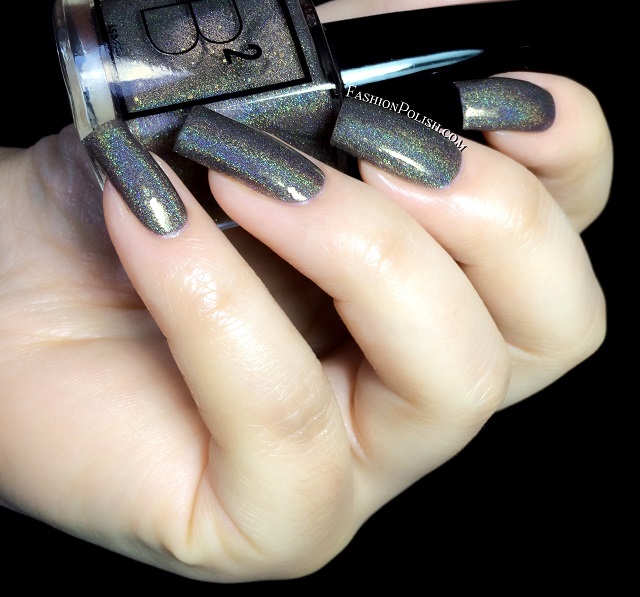 Today I have swatches of B Squared Lacquer, an indie brand I discovered through Instagram. I don't know about you but I don't think I could ever get enough of the IG nail polish indie scene, so many amazing brands! 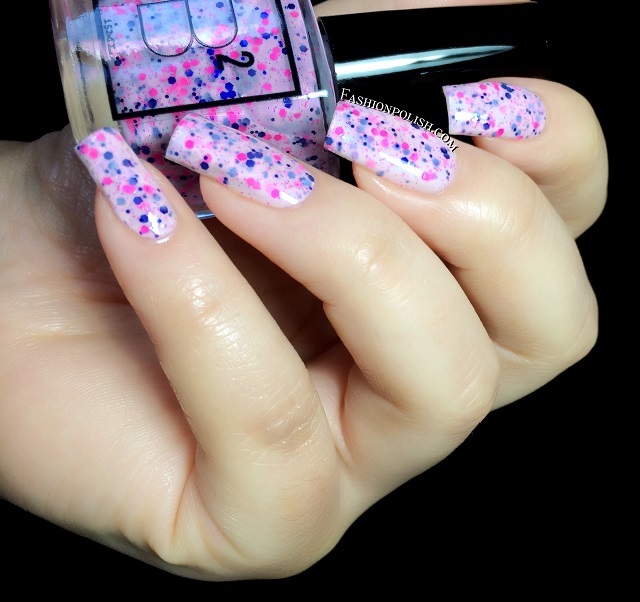 Body Electric is an off-white jelly packed with bright pink and blue glitters. Opaque in 2 coats, application was nice and easy. Al Aboard! is a beautful muted turquoise scattered holo. It has a lot of depth, really beautiful. Shown below : 2 coats plus topcoat. Purple Unicorn is a gorgeous medium purple packed with green shimmers, a well balanced and unique combination. Again, perfect in 2 coats. Sail is a periwinkle blue to purple thermal scattered holo. You've probably seen a lot of thermals this year but this one's beautiful nonetheless. Shown below : 2 coats plus topcoat. Royals is an amazing vampy purple jelly packed with holo glitters, So much sparkle peaks out of this, I think it's one of the best purple glitters I have ever tried, love it! I used 2 coats plus topcoat as well. And finally Luxury Chocolate : a deep taupe holo infused with a stunning gold shimmer and gold flakies. I had a hard time capturing the flakies on camera but trust me, they are there. Again, 2 coats fpr complete coverage. A really nice first experience with B Squared Lacquer. The nerd in me loved the name and logo but most importantly the quality and large selection of finishes. Glitter, shimmer, thermal, holo, pick your favorite! 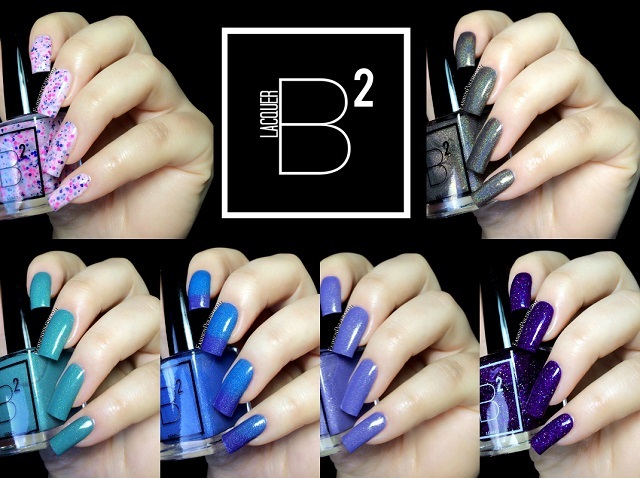 B Squared Lacquer can be purchased on the brand's store.